Eric Alexander is a frequent visitor to these shores from America, sometimes in tandem with British musicians such as Dave O’Higgins. A prolific recording artist, he has worked for many years with pianist Harold Mabern, a genuine legend in his own right (anyone referenced alongside Duke Ellington and Jay McShann in Ben Sidran’s superb tribute song Piano Players must be worth a listen!). 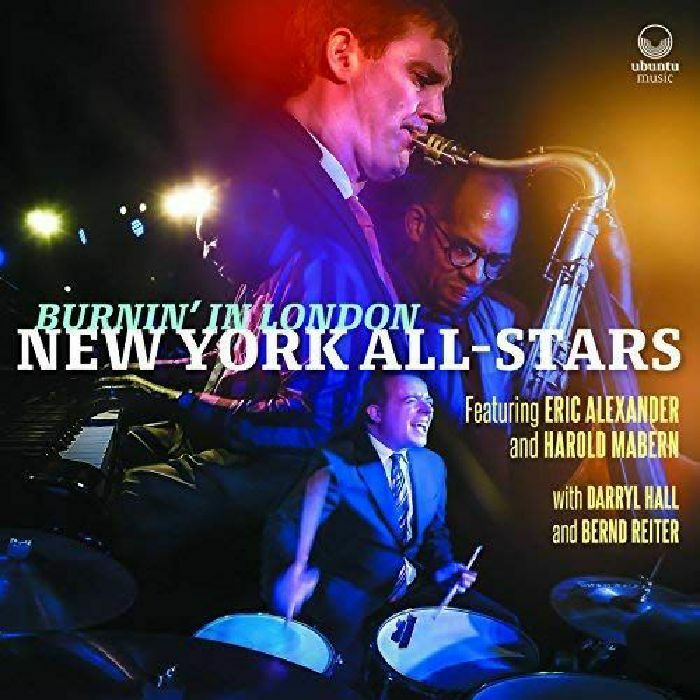 Lately they have teamed up with French-domiciled American bassist Darryl Hall and Austrian drummer Bernd Reiter as the New York All-Stars. This CD emerged from a conversation while the band were playing a short residency in London – a chat one night became a recording the next! As we might expect, this is very much a live performance from a ring-ready band whose chops are clearly well-exercised and who have found a groove together. Alexander leads into the opening Almost Like Being In Love at tremendous pace, with Mabern providing a full backing style with a fair amount of sustain pedal evident. I Could Have Danced All Night is tackled at an even faster tempo, with interestingly ambiguous rhythmic shifts which have the listener reaching for support and Alexander’s tenor sax gaining fluency and clarity though the performance. Mabern leads into his own Nightlife In Tokyo with a nice piano introduction before the straight-eights tune and bass ostinato arrives. Hall and Reiter provide solid backing here as elsewhere, and Mabern takes the chance to introduce an extended quote from Steely Dan’s Do It Again using his ten-fingered full-on style. With six tracks of around 10 minutes apiece, there is space to stretch out and Hall gets a nicely-judged solo here. It’s Magic provides a welcome breather as the band moves into ballad territory with Mabern again quoting liberally from a range of sources including a classically-rooted coda with Alexander. This is a lively collection of witty and high octane jazz recorded live by practitioners at the top of their craft. You can hear them for yourself on their forthcoming European tour including September dates at Manchester’s Band On The Wall and the Guildhall School, and three nights' return to the Pizza Express in Soho (17-19 September 2018) as well as shows in Italy, Germany, Norway, Austria, Switzerland and France.